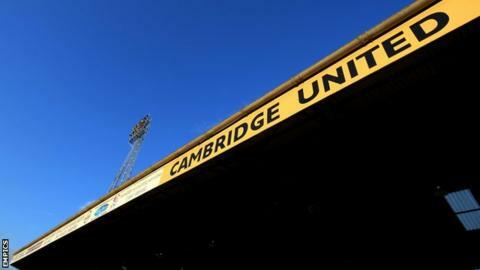 Cambridge United chairman Dave Doggett has said the club cannot progress in their current home. The U's hope to move to a new stadium or redevelop the Abbey Stadium, but both options require council backing. Doggett told BBC Radio Cambridgeshire: "We must have a modern stadium. We've already had 6,500 people in - how can we cope with that number of people? "We need a stadium fit for purpose to generate extra funds and not just rely on gate receipts." The Abbey Stadium is owned by property developer Grosvenor, who want to build houses on the current site and then provide a community sports stadium in Trumpington on the edge of the city for the U's to move into. That proposal was jointly rejected by Cambridge City and South Cambridgeshire councils. The back-up plan of redeveloping the Abbey depends on Grosvenor still getting permission to build houses on the green belt land in Trumpington. "There will be a point where our 8,000 capacity will not be enough," said Doggett, who helped the club win promotion back to the Football League last season for the first time in nine years. "Not that it would be full every time, but you can't run near capacity every step of the way. "If a council really wants to, there is the ability for them to help us achieve an asset for the city and Cambridgeshire. If there is a political will, it can help."